E.H. Shepard's 1926 hand drawn original map has sold at auction in Sotheby's in London on Tuesday July 10, 2018, for 430,000 pounds (US dollars 571,000), a record price for a book illustration. E.H. Shepard's 1926 sketch features beloved characters including Pooh and Christopher Robin. 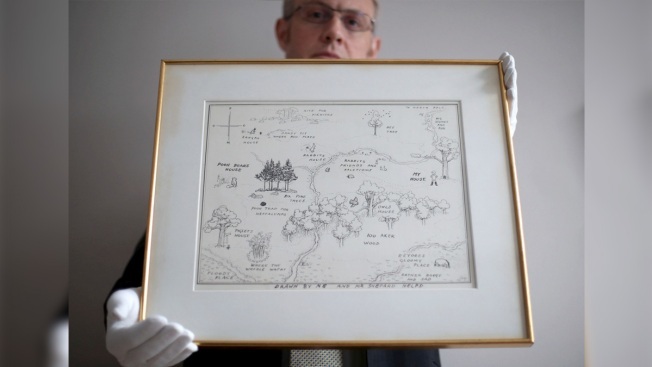 The map and four other Shepard Winnie-the-Pooh illustrations sold for a total of 917,500 pounds.